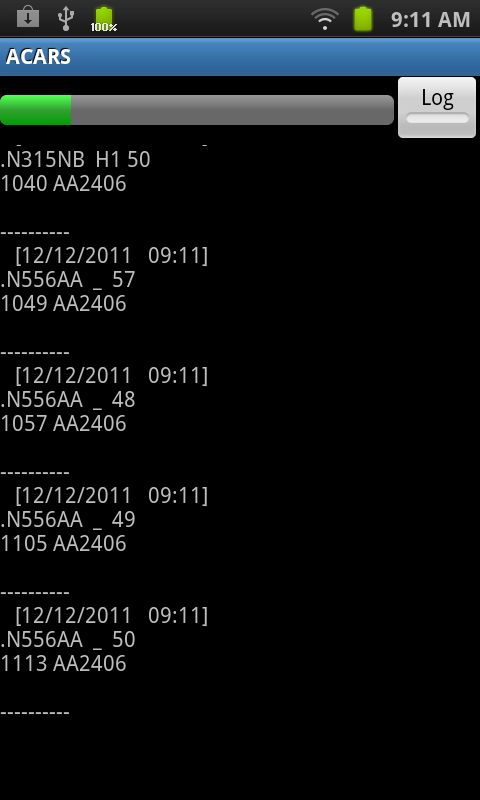 ACARS lets you view ACARS transmissions on your iPad, iPhone, and iPod Touch. Just connect it to a VHF radio (or even set it next to the radio's speaker), tune in an ACARS frequency, and watch the decodes. Decodes can be automatically saved to an acars.txt file on your device's SD card or other memory by enabling the Log button.